On the 18 August 2012 I had another amazing show on my balcony. 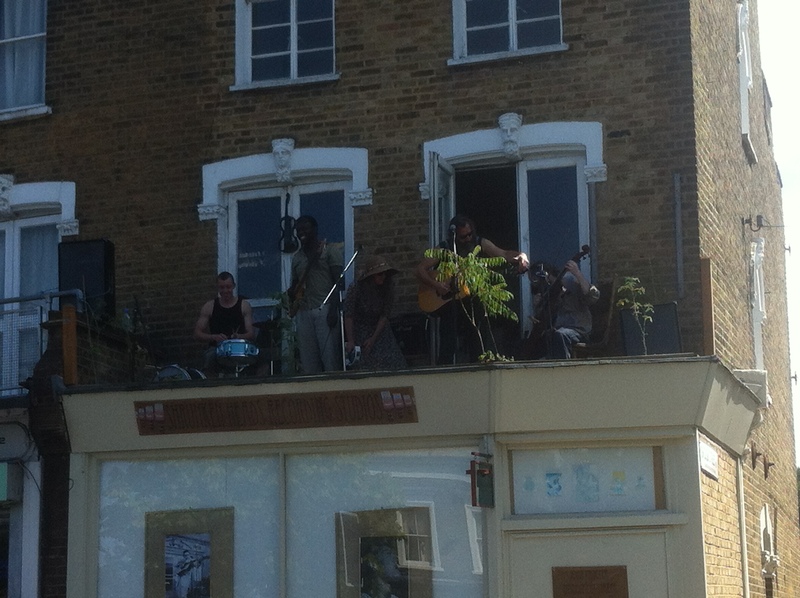 It was a beautiful, very hot and almost all the people of Nunhead were very happy. 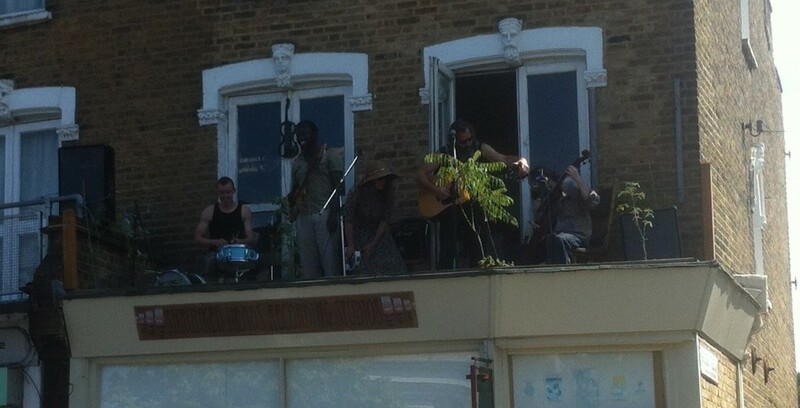 I booked John McClean and the Clan to play and they did 3 fantastic sets in the 30 degree heat. I’ve got to thank all the local business for there support, food and drink. Also thanks to the many other musicians that played that day. John Procter makes and repairs stringed instruments for the most discerning clients. His refined yet eclectic craftsmanship has earned him the position of one of the most sought after repairers in the business today. John is committed to his belief that young people should be encouraged to learn musical instruments in schools.